What Kind Of Down Is Available? How Do I Choose A Quality Pillow? We get it. You’re a purist. We like that about you. No memory foam or polyfil for you. You want the granddaddy of all pillows, the original contouring material, down. Down has some quirks, however, so it’s crucial you understand what you’re getting. Down pillows can be a terrible investment if you get a poorly made product, but don’t worry. We’ve answered some questions you may have about down. Plus, we’ve got our top five favorite down pillows to give you some inspiration. Let’s take a look. Down pillows aren’t the same as feather pillows. Down is the protective covering on birds that helps insulate their bodies. It’s below their feathers and creates a lush, thick covering next to their bodies that keeps warmth in and cold and wet out. It doesn’t look much like feathers, honestly, and that’s a good thing. Instead, down resembles cotton threads or tiny balls of fluff. Most pillows have some smaller feathers mixed in with down, but for the most part, it’s all fluff. You could get down from just about any type of bird, but the most common are from waterfowl. Here are the types you’re likely to find. Duck – This type is usually the most economical, and it offers plenty of cushioning. Regular duck down is very thick and can be quite comfortable. The downside is sometimes it has an odor. Eider – Eider is a type of duck, but the down from this duck is widely considered one of the best. It’s more expensive and very comfortable, but finding a pillow with all Eider down takes a little more time. Don’t get too hung up on the type of down either. A lot will depend on the quality of manufacturing and production. Just because something says “goose” doesn’t mean it actually has more quality than plain old duck. You’re looking for percentages of down plus fill power and cover materials to make that decision. Since you can’t try out all the pillows on the internet, here are a few things to look for when you’re deciding. Like we said, down and feather pillows are not the same thing. Feather pillows are soft, but they offer no contouring or support and quickly lose shape. For a pillow to be considered down, it must be at least 25% feathers or less. Any more and you’re crossing into feather pillow territory. The higher percentage of down in the pillow, the more supportive and generally softer it will be. All down pillows will contain some small feathers, but you’re looking for a lower percentage here to get the most benefit. Fill power is how likely it is the pillow will maintain its shape even after sleeping on it every night. Medium quality down pillows have fill-powers of about 550, which should offer adequate support and contouring. Higher quality pillows could have as much as 700 fill power or higher. The idea is to balance fill power with the budget. You don’t have to seek out the highest fill power available, but you do want to know that your pillow won’t become a flat lump after a few months. Fill is measured by the volume an ounce of down takes up in the pillow. When fill power is higher, clusters of down are larger and take up more space per ounce. Again, you don’t necessarily have to seek out the highest fill power, but it is going to give you a fluffier, sturdier pillow. Moving outside the pillow, the cover materials are essential here. Polyfill and memory foam have larger fibers, making it harder for the inner material to escape the pillow. The silky fibers of down are a different story. You need a higher thread count for your cover materials to make sure the pillow can hold them down. Higher thread counts feature tighter weaves, making it more difficult for your down to escape. Any feathers in your down pillow will still have their sharp ends, so a higher thread count also means you won’t get poked in the face every so often from a stray feather. It increases the surface coverage and helps dampen that feeling. Some companies use highly unethical practices to harvest down, but down doesn’t have to be cruel. If you look for specific certifications, you can choose a product that doesn’t cause unnecessary harm to the bird when down is harvested. One group is The Responsible Down Standard. It certifies that all live down plucking is prohibited and that the animal isn’t caged or force fed. Instead, the bird lives a natural, cruelty-free life before the down is harvested. Each part of the supply chain is audited to ensure the least cruel practices. If you’re concerned about the slaughter of the bird, consider a down alternative. These contain no real down but are built to mimic the feeling of down pillows. Otherwise, watching for RDS certifications ensures that the bird has lived a good life and isn’t subject to any cruel harvesting practices or unnecessary harm before harvesting. Down is smooth and less likely than polyfill to feel lumpy if you get a quality pillow. It mimics the feeling of shredded memory foam by contouring to your face and neck while maintaining moldability. They’re really soft, too. Some think down pillows are some of the fluffiest and luxurious on the market although we won’t lie. Memory foam has come a long way. Down doesn’t strangle the bird because it allows air circulation close to the body to regulate temperature. Down pillows are also highly breathable, regulating temperature and maintaining comfort all night without synthetic cooling agents like gel. It’s suitable for all types of sleeping positions because it holds its shape and contours to your head and shoulders. You can nestle down into the pillow if you’re a stomach sleeper, or bunch it up under your head and neck if you’re a side sleeper, and it will maintain its shape. Down can trigger allergic reactions to those sensitive to birds or other types of airborne allergens. That doesn’t mean you can’t find “hypoallergenic” versions of down pillows, but generally, they aren’t recommended. They can also be more expensive than other pillows. To be fair, quality pillows cost more than what your cheap pillow from a big box store costs, but you’ll need to add more to your budget if you want a quality down pillow. It’s going to require fluffing pretty regularly. Although it does hold its shape, if you’re a combination sleeper, you may have to fluff the pillow to change the shape. It doesn’t offer the rebound or responsiveness that polyfill and memory foam have. If you have serious orthopedic issues or back pain, down pillows aren’t recommended. For the same reasons as combination sleepers, having to readjust the shape of the pillow each time you move can cause strain to your spine or pressure points. You may wake up in more pain than when you started. And now for our top picks for awesome down pillows. Let’s take a look. Our first pillow satisfies that fill power and the thread count. It’s a 750 fill power pillow achieved through 100% goose down and a 75% down to feathers ratio. It’s sanitized to remove any lingering odors and allergens from dust or bacteria. The cover materials are 100% Egyptian cotton. The 500 thread count design keeps down and any stray quills safely inside the pillow. It’s edged with soft piping for a tailored look and to prevent wear and tear at seam edges, which could allow down to escape as you use the pillow. These reinforced edges extend the life of the pillow. It’s available in three different sizes, standard, queen, and king, and you can purchase a single pillow or a set. The price is on the reasonable side for down and for most higher end pillows on the market. The pillow is very firm and may be best for side or back sleepers. Stomach sleepers or those who prefer a very soft pillow may find it too firm to be comfortable. Contact the individual seller for sleep trial, return, or warranty information. Our second pillow is a 100% goose down pillow with 700 fill power. The 300 thread count cotton cover material keeps the down inside the pillow where it belongs. The striped damask style is tailored and clean while reinforced edges prevent wear and tear along the seams. One interesting feature of this pillow is Continental Bedding’s commitment to animal welfare. The pillow is RDS certified, meaning down in their pillows does not come from animals that have been subjected to cruel harvesting practices. You can’t always guarantee that with pillows you buy online. They clean the down for a hypoallergenic pillow without dust, allergens, or bacteria. It isn’t quite as firm as the first pillow, so it’s better for stomach sleepers or combination sleepers who like to mold their pillow as they move around. Check the seller for warranty and return information. Beckham Hotel’s pillow uses a mix of down and down alternative to achieve that classic feel while reducing the price tag. They’re highly affordable for this set and offer a soft, fluffy feeling suitable for back sleepers and side sleepers. The inner chamber is filled with a down and feather combination highly favoring down, while the outer chamber is a gel-filled down alternative. This reduces the amount of heat next to your face and keeps your allergies at bay if you have them. Since it’s not 100% down, you may feel a bit put off by having a mix of materials, but this is a standard method for reducing the overall cost of the pillow. The interior down is RDS certified for animal welfare, and the outer materials are allergen free and hypoallergenic. 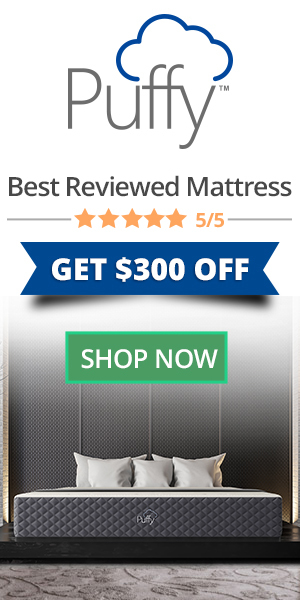 The company offers a 30-day money back guarantee, so if you don’t like the feeling of the material mix, you could return it for a refund to try something that’s 100% down. Downlite’s extra soft down pillow is an excellent alternative to the higher fill powers of the others on the list. It’s purposefully flatter to accommodate the unique needs of stomach sleepers. The fill power is 550, made of duck down a smaller type of down than goose. It flattens out pretty good, and the 250 thread count pillowcase is sufficient to prevent down from escaping. It’s entirely machine washable on the gentle cycle, something not all down pillows are capable of. They come in three different sizes, standard, queen, and king. It’s breathable and shouldn’t get hot and sweaty even with your face smashed into the pillow. It’s the type of pillow that layers well if you want more customization when you travel and use other pillows. Contact the seller for warranty information, and be sure you understand that you’re purposefully getting a flatter pillow. If you aren’t a stomach sleeper, this one may not do the trick. Feathers aren’t all bad. They add loft and thickness for those who need a thicker pillow. DownLuxe features a 75% down ration with 25% feather gives depth and durability. The two-inch gusset resists compression and reduces the need to fluff the pillow through the night. It’s machine washable and dryable, which can help re-fluff the pillow from time to time. The cover materials are 100% cotton with reinforced seams to prevent down and feathers from escaping. The pillow is still breathable and keeps heat from building up around your head and neck. For warranty information, you’ll need to contact the seller. The pillow may need to air own because duck feathers can have a particular smell sometimes. Since the pillow stays packaged for quite some time, you may need to air it out before you use it. two-inch gusset helps resist compression. Down pillows are fantastic for those who like something breathable and moldable. Their most significant benefit is the way they mold to your head and neck and can be reshaped into whatever you need. Down is great for multiple sleep positions provided you find the right amount of loft and fill, and they can last many years with proper care and quality production. You may not love the feeling of polyfill or memory foam pillows, but down is usually a crowd pleaser if you’re able to find the one that fits your sleep patterns best.